Our students have impressive goals and career ambitions - it’s our job to help you reach them. We equip students with the tools and professional network to manage their career development and land their dream job. 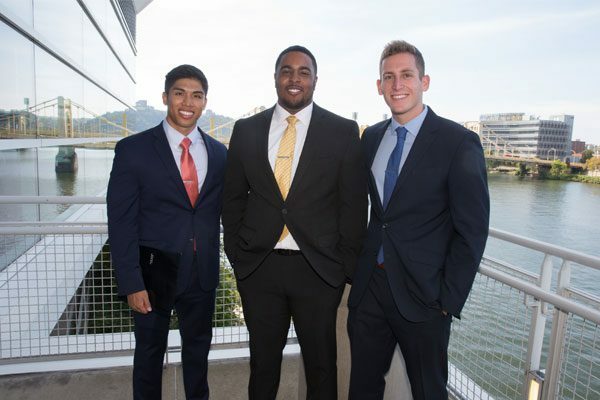 We have forged partnerships with top employers in the Pittsburgh region and beyond in order to connect students with high-quality recruiters. "You Have What Our Company Needs"
These are the words our students hear time and time again. 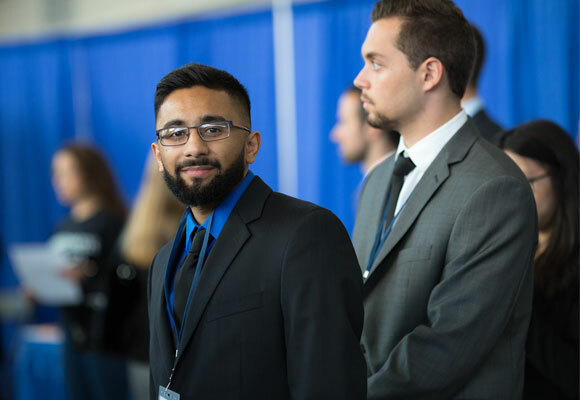 Students have access to professional advisors, Executives in Residence, exclusive job postings , on-campus recruiting events, our Industry Professional Networks and Professional Academies, and the region’s largest recruiting conference for business students. We prepare our students to make an immediate impact as business leaders. Pitt Business students receive personalized advising support to help with career exploration and professional development. 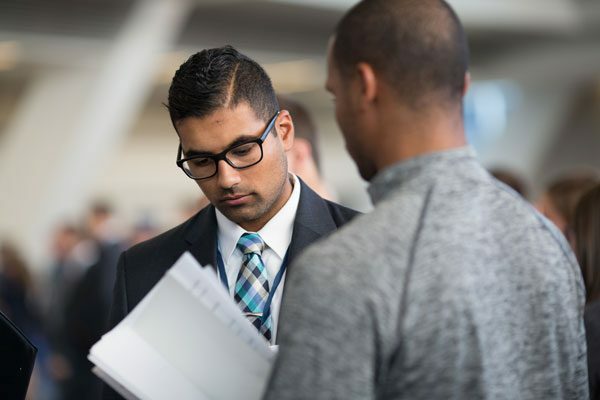 Recruiters and corporate partners have the opportunity to build their talent management pipeline by recruiting Pitt Business students on campus and through special events. 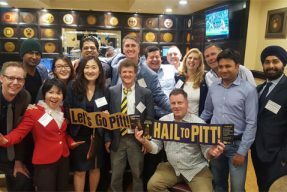 With a global network of 30,000+ business alumni from the University of Pittsburgh, there are many opportunities for students and alumni to connect. Featuring insights from our career development team and profiles of student achievements, the Career Blog is a destination for Pitt Business career development news. Thanks to our urban location, students have the opportunity to intern at organizations of all sizes and types. We also offer an International Internship Program where students are able to work at multinational firms in other countries.